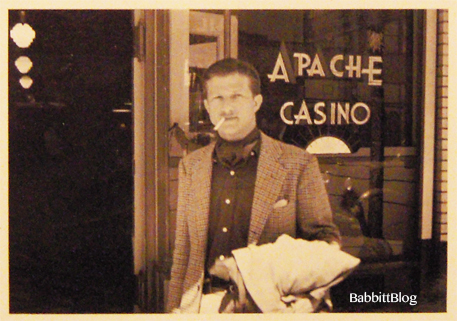 In honor of Art Babbitt’s birthday, I’m sharing an interesting bit of European memorabilia. 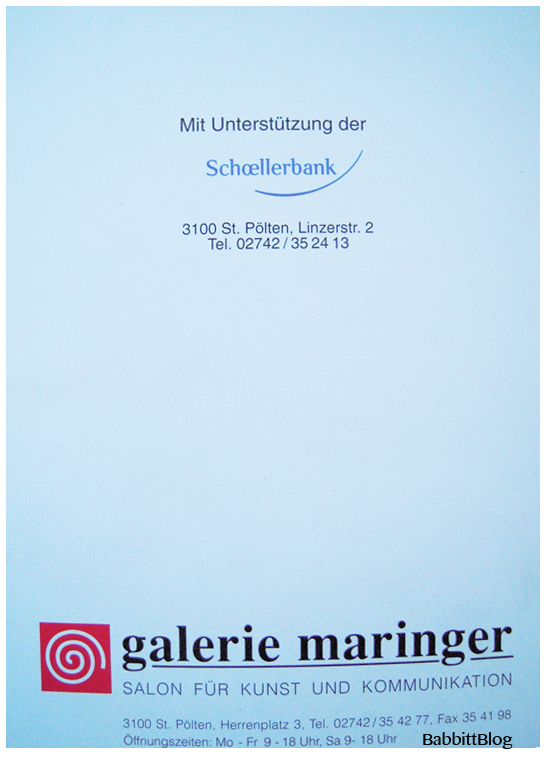 Ten years ago this year, Babbitt was honored with an exhibit of his work in Austria’s Gallerie Maringer. … Does anyone care to translate? This entry was posted in 1932-1941: Disney Glory Days, 1946-1970s: Later Years, miscellaneous, Photography, Snow White and the Seven Dwarfs and tagged birthday, Exhibit, Snow White. Bookmark the permalink. 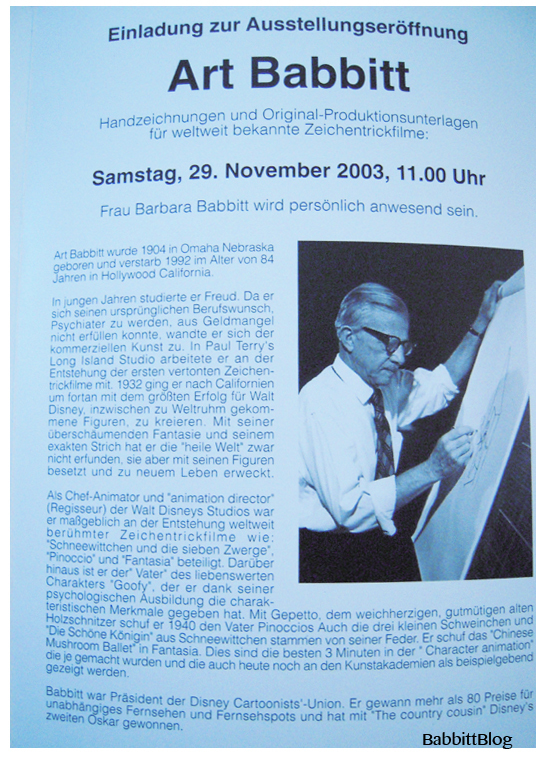 Invite to the Exhibition of AB; Hand drawings and Original Production pieces from animation films; Saturday, 29 Nov 2003, 11:00 o’clock am; Mrs. BB will be there personally; AB was born in 1904 in Omaha Neb. and died 1992 at 84 in Hollywood CA. He studied Freud in his youth. He wanted to be a psychiatrist. Due to lack of funds he started in commercial art. He worked on the earliest animation film with sound in Paul Terry’s Long Island Studio. he went to CA in 1932 and went on to great success creating some of the most famous characters known worldwide at Walt Disney Studios. With his overflowing imagination and his sharp wit he did not add to the world, but rather changed it/brought it to new life. As chief animator and director at Disney’s he was key in the production of worldwide famous animation films like: Snow White+7, Pinnoccio, and Fantasia. In addition he is the father of the adorable character Goofy, for whom he wrote a character analysis, thanks to Art’s psychology background. In 1940 he animated Gepetto the softhearted, good spirited, old wood cutter father of Pinnoccio. He also animated the 3 Little Pigs and the beautiful Queen in Snow White, and the Chinese Mushroom Ballet in Fantasia. That is the best 3 minutes in “Character Animation” ever done and is taught and used as a perfect example in art academies today. Babbitt was president of the Disney Cartoonist union. He won more than 80 prizes for independent TV shows and commercials and won Disney its 2nd Oscar with the “Country Cousin”.